Two baguettes on the menu are full of juicy meat and vegetables. They were both inspired by Alsace, France. The first one – Munster Pork Knee – is a baguette filled with pieces of delicious smoked pork knee, sauerkraut, fried onion and strong French Muster cheese. The second baguette is called Chicken Champignon, where chilli-spiced chicken thigh is the main ingredient, dressed with baby spinach tossed in lemon vinaigrette, topped with mushrooms and fried onions. CHEF MENU prepared by Miroslav Kalina in the Alsatian style will keep you warm and ginger you up not only in cold weather. 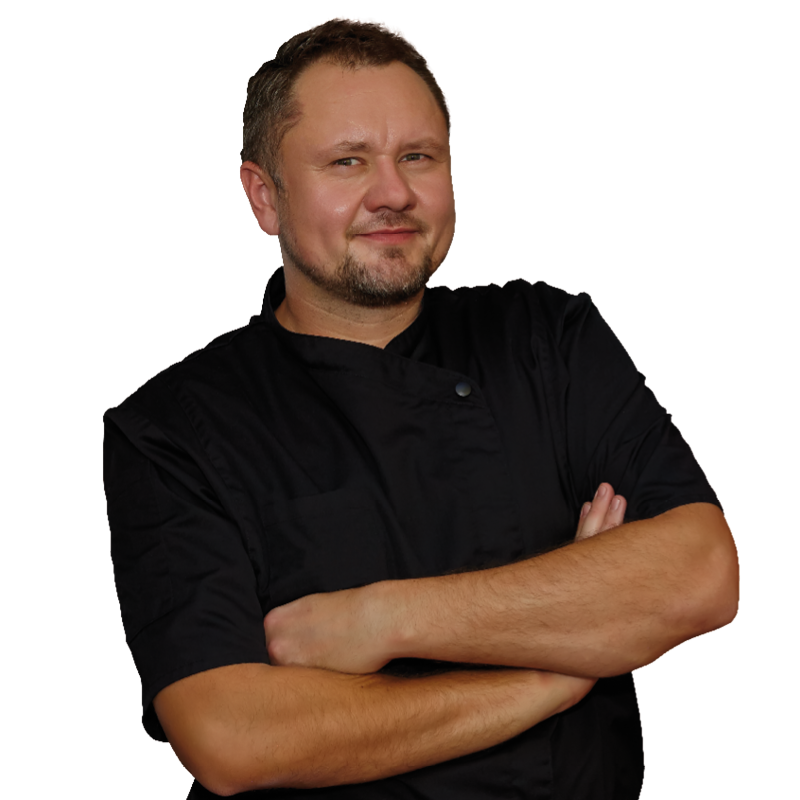 Miroslav Kalina, you may know as a judge of the popular MasterChef culinary competition, where the eye strict but fair oversees the culinary talents from all over the Czech. At the restaurant that bears his name, he focuses on the best of French and Austrian cuisine. Right after tasting all the dishes from our Chef menu, come by for example for the legendary veal sweetbreads. You can satisfy your taste buds, your hunger and keep your figure slim at the same time with light and healthy snack of Smoked Trout Fillet on beetroot Salad, with Granny Smith apples, walnuts and sour cream. The next amazing dish is not for the vegetarians only, you will love it all the same. Soft buttery pumpkin with honey and chilli, avocado, mixture of lettuce and baby spinach with dressing of yoghurt and tahini paste, all carefully wrapped in a graham tortilla. "I chose the foods that I personally like the most, but many restaurants usually do not offer them. Traditional ingredients are, thanks to their unique preparation, getting a new edge, so their true flavor really comes out. " Before you head out to the autumn or winter sleet, warm yourself up with our red lentil soup with sweet potatoes and red pepper. It is seasoned with Balkan Chubritza spice, which gives the soup just the right pizzazz.